Will Bike-Sharing Programs Kill More People? New York debuts its bike-sharing program later this month. Could increased ridership on the city's already-crowded streets result in a big jump in traffic accidents? 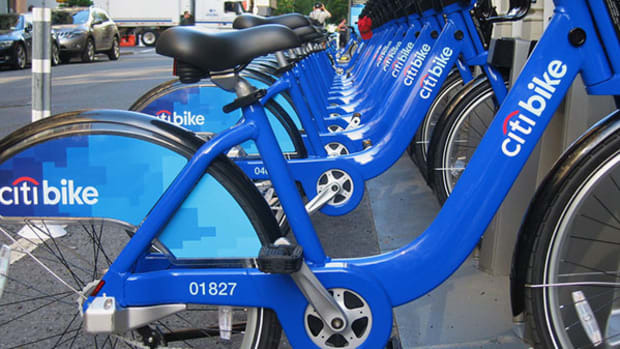 Later this National Bike Month, Citi Bike will debut in New York City. 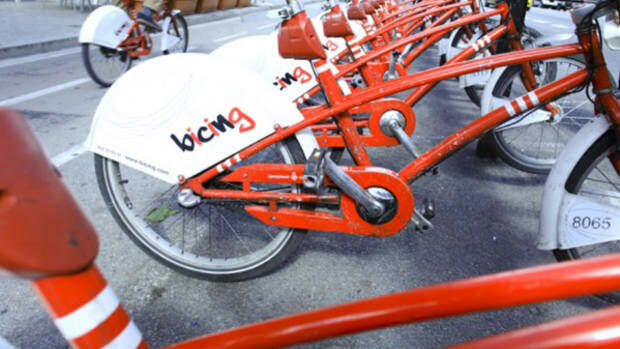 The ambitious bike-sharing program will launch with 6,000 three-speeders spread across 300 docking stations, numbers that will grow to 10,000 and 600, respectively, when the plan is fully operational. 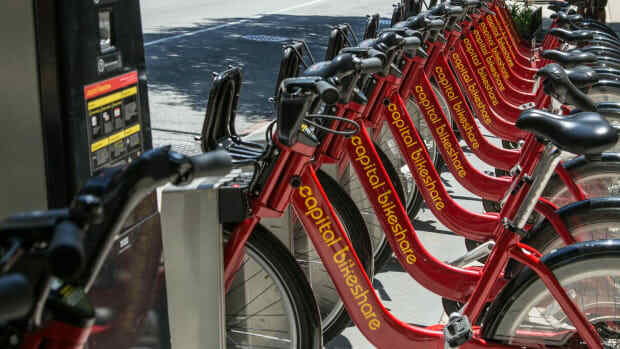 Fittingly, the biggest city in the United States will boast the country&apos;s largest bike-sharing program. A 2008 study predicted between 1.4 million and four million tourists will use the system. The fight between cars, bikes, and, to a lesser extent, pedestrian rights is a never-ending source of contention in Gotham—popping up in mayoral debates—and the addition of a small city&apos;s worth of bikes is the latest battleground. The debate about the places of bikes in the city is not without merit. In 2011, police reported nearly 3,400 vehicle-bicycle crashes and 22 bicyclist fatalities. Around 500 people are hospitalized every year due to crashes. The city is making a concerted effort to increase the number and length of bike paths and bike lanes, but virtually any bicyclist will relay horror stories about riding around NYC. And bikers, frequently guilty of running lights, going the wrong way on one-way streets, and other minor but dangerous violations, aren&apos;t innocent, either. Still, bikes aren&apos;t going anywhere. According to the Department of Transportation, "cyclists accounted for 12 percent of all vehicles in motion on [the Prospect Park West bike lane in Brooklyn] during P.M. rush hours" and another study from the Department of Health and Mental Hygiene reported that more than half a million people ride at least several times a month. Citi Bike will only increase the amount of cyclists on the streets and, as a result, the potential for accidents. 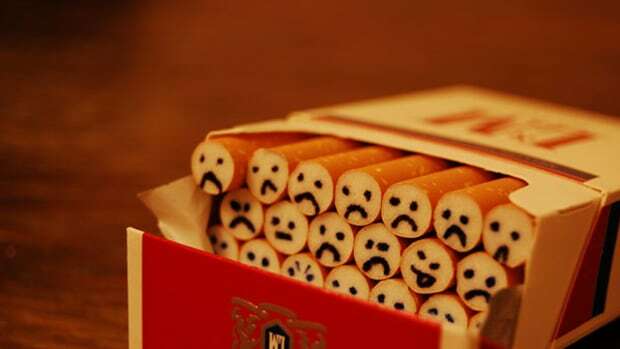 Ironically, however, that may make everyone safer, as a major factor in prevention is awareness. 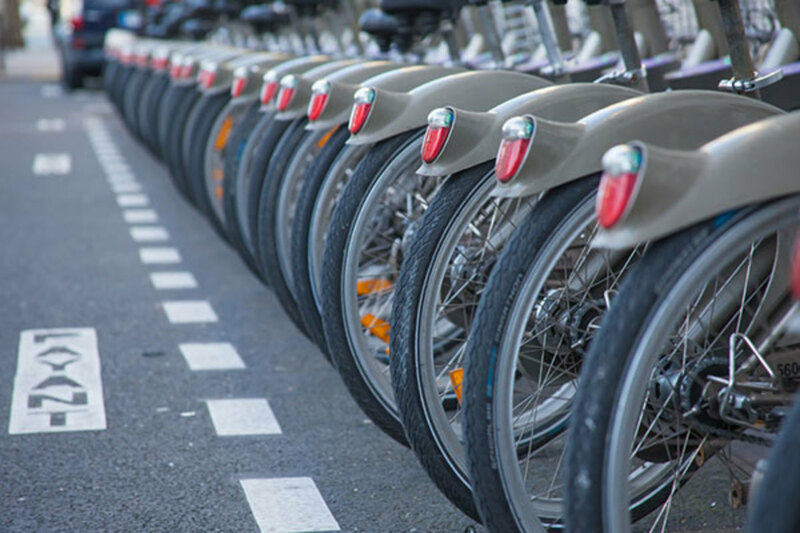 A study of Paris&apos; Velib bike-sharing program found that while bike traffic jumped 24 percent during the program&apos;s first year, accidents only increased seven percent—a net increase, but a per-rider decrease. (Paris&apos; bike-share program is the most similar to New York&apos;s in both the number of bikes and character of the city.) As bikers become more engrained into the fabric of the streets, the drivers of motor vehicles grow more used to seeing—and avoiding—them. The session last week was among several organized this spring by bike-share representatives and Bike New York, a non-profit group that provides free cycling classes across the city tailored specifically to New York City riding. The class seemed to vacillate between public awareness campaign and a pep talk for those who might be skittish about riding in traffic.... Shining a laser pointer on a pull-down projection screen, Ms. Crotty reminded the students that it was legal to ride with one headphone in, but not both (“there’s so much on the street that you want to hear”), and that riders must always yield to pedestrians (“even when they’re crossing against the light and being super annoying”). New York is preparing as well as it can for the onslaught of riders. Injuries will increase, but certainly not match the 20 percent of Portlandia bike riders who suffered one over the course of a year. On balance, Citi Bike should be a positive, although there is one more area for concern: tourism. A 2008 study predicted between 1.4 million and four million tourists will use the system. 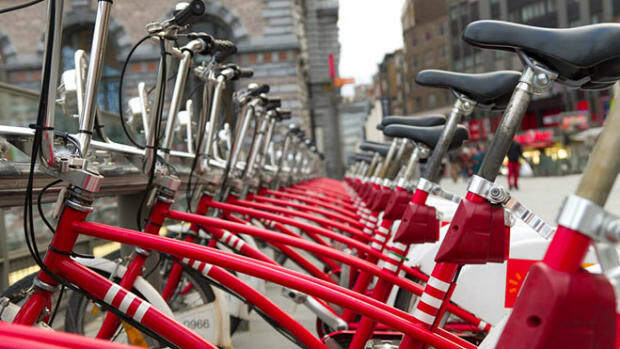 (Velib sold 2.5 million one-day passes in its first six months.) Visitors will be a boon to the bottom line, but a potential pitfall as well—unless Lonely Planet starts including "best bike-safety courses" in its guidebooks. The New York Observer doesn't want you to rent—or ride—a bike. How do bike share systems keep two-wheel fleets operable and available when needed? Relying on IT will put these programs at the same risk of sudden obsolescence you worry about when upgrading a phone. Living close to a bike-sharing system directly results in an increase to a home's property value, a new study shows.